Last week, Pittsburgh mobster Eugene (Nick the Blade) Gesuale rang in the New Year at home for the first time in almost three decades. Gesuale, 71, is one of Pennsylvania’s all-time most-feared gangsters and was released from federal prison in the weeks before Thanksgiving, following 28 years of incarceration on a hefty drug-peddling and racketeering conspiracy conviction. Today, the Pittsburgh mob is barely standing. However, back years ago when it was a powerful presence in the eastern-section of the American rustbelt, Nick the Blade was a force to be reckoned with. Throughout the 1970s and into the mid-1980s, he was the Pittsburgh area’s biggest mafia-backed narcotics trafficker and a go-to enforcer for Steel City mob brass, like his mentors, future crime family underboss Chuckie Porter and Penn Hills capo Louie Raucci as well as syndicate Godfathers, Sebastian (Big John) La Rocca and Mike Genovese. He also acted as a liaison between the local LCN and the area’s outlaw bikers. 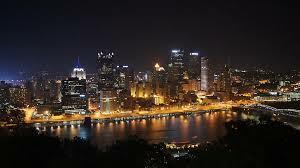 The Genovese regime in Pittsburgh laid the groundwork for Gesuale’s ascension through the Three Rivers mob ranks with its’ drug-friendly atmosphere. 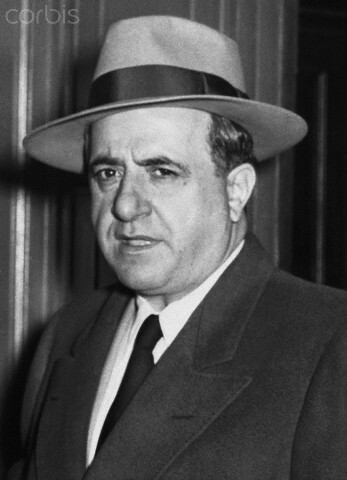 La Rocca, the region’s longtime mafia Don, passed the reins of the organization to Genovese in the late 1970s (at least on a day-to-day basis) and unlike to a lot of mob leaders of his era who tried to distance themselves from the drug world as much as possible, Genovese practically encouraged narco activity amongst his troops. Genovese died peacefully as a free man in 2006. Ditto his predecessor Big John La Rocca in 1984. Nick the Blade’s pop-culture claim to fame is that he was the infamous “Pittsburgh connection” from the Oscar-nominated film Goodfellas (1990), supplying wholesale cocaine to real-life New York Lucchese mob associates Henry Hill, James (Jimmy the Gent) Burke and Thomas (Two-Gun Tommy) DeSimone, portrayed by Ray Liotta, Robert De Niro and Joe Pesci, respectively, in the cinematic classic hemmed by the legendary Martin Scorsese. The Lucchese crew got hooked up with Gesuale via a former prison cellmate of Hill’s and Pittsburgh mafia affiliate named Paul Mazzei. Known to hang around Chucky Porter and his younger brother Billy, Mazzei was partnered with Nick the Blade in a variety of drug operations, moving coke, heroin and marijuana. Mazzei, like Hill, went on to become a federal informant and was also implicated with the Luccheses in the notorious late-1970s Boston College men’s basketball program point-shaving scandal, piloted on the court by B.C. power forward and Pittsburgh-native Rick Kuhn. The indictment that eventually brought down Gesuale was filed in January 1985 and included his right-hand man and fellow Pittsburgh wiseguy John (Johnny Three Fingers) Leone and local motorcycle gang boss Daniel (Danny the Deacon) Zwibel of the Pagans. Gesuale went on the lam and wasn’t arrested until over a year later hiding in Jamaica. Earning his nickname from a pair of altercations in his youth when he attacked two separate men with a knife – one for ogling his girlfriend in-line at a movie theatre and the other after a fight broke out in a basketball game he was playing in – Nick the Blade, according to FBI records, is a prime suspect in the December 1967 gangland slaying of Pittsburgh mob flunky Alphonse Marano, a hit informants have told the government that he may have “made his bones” on. 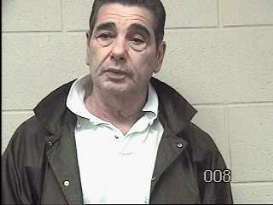 Marano had unknowingly introduced an undercover IRS agent to the crime family’s then-capo in charge of the West Virginia panhandle and soon-to-be underboss, Joseph (Jo Jo) Pecora, leading to a series of Percora’s backdoor casinos being raided by the FBI and him being arrested on interstate gambling charges. The string of raids occurred on December 23, 1967. Mike Genovese and Marano got into the second of two public shouting matches in the aftermath of Percora’s pinch at the mob social club Marano helped run on the evening of December 27. The next morning Marano was found shot three times in the back of the head in the trunk of his car on an abandoned road in Westmoreland County. Although Gesuale was picked up for questioning by authorities in the investigation, he was never charged. He was indicted six years later in a 1973 heroin-smuggling bust, however, the charges were dropped before the case reached trial. FBI surveillance logs from that time period note Gesuale acting as “top-muscle” for Porter and Raucci. His name surfaced in the press later that same decade in what law enforcement documents call a “shakedown turned violent,” when him and Billy Porter beat up Pennsylvania policy kingpin Harry Martorella with a baseball bat and accidentally shot a passerby while intending on striking Martorella on December 20, 1978 in an attack that took place at a downtown Pittsburgh parking structure Martorella owned. Martorella co-owned the property with his two brothers and the three of them oversaw a robust citywide numbers lottery from the parking structure, catering to both a street and civilian clientele. Their continual-rebuffing of Chuckie Porter’s demand that they fork over a monthly tribute led to the assault that took place in broad daylight and cost Gesuale and Billy Porter just under two years in jail apiece. In his underworld career, Gesuale has been named the subject of numerous drug, gambling, loansharking, extortion and murder investigations, dating back almost a half-century and including his time on the street and behind bars. Chuckie Porter and Louie Raucci were convicted of a RICO and drug conspiracy in 1990. Porter defected to the government and entered the Federal Witness Protection Program. Raucci died in prison in 1995. As of 2015, the Pittsburgh LCN branch has less than a dozen” button men” and is a shadow of it’s former self at the height of the La Rocca-Genovese reign.